A stone's throw away from the Genting Highlands Peak, the Hotel is in a prime location unobstructed by the hustle and bustle of the city with a myriad of lifestyle amenities and an ideal environment with fresh air and mountain climate 19°C – 25°C. Strategically located in the heart of Kuala Lumpur between bustling Bukit Bintang and colourful Chinatown. The hotel offers business and leisure travellers a refined experience with 296 guest rooms in warm earth tones, equipped with modern amenities for the ultimate ambience. A variety of accommodation is available, ranging from the Deluxe Rooms, Premier Deluxe, Executive and Family Rooms. A unique dining experience awaits diners at the Flavors Restaurant and Green Treats Delicatessen. The Blue Chip Lounge is a cocktail of style and elegance, ideal to relax and unwind while the stylish e-lounge located on the 11th floor is perfect for the executives. There are no rooms available for the period of stay you have specified. A Legendary Address. 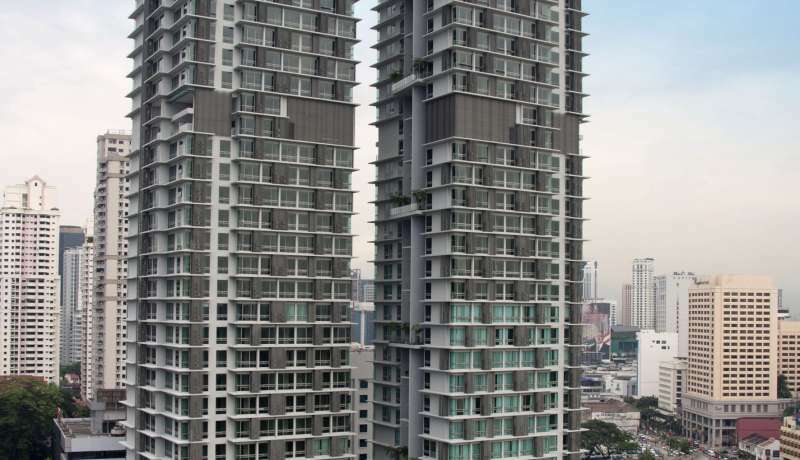 The Residences @ Swiss-Garden Hotel & Residences Kuala Lumpur, is the epitome of modern living. The contemporary blend of design seamlessly integrates into its historical heritage making it a prime address in the heart of Kuala Lumpur. It is strategically located in an urban enclave and connected to the hotel via the link bridge. An architectural masterpiece that defines the skyline in the cosmopolitan district, The unique structure of glass and steel elements boasts of North Tower and South Tower, rising majestically at 33 and 37 storeys respectively. Comprising of contemporary serviced apartments ranging from Residence Suite to 2 bedroom premier apartments, and even a Penthouse which is replete with modern fittings & amenities. A magnificent view of the Kuala Lumpur skyline greets residence as they step into the tastefully furnished apartments. The Residences encapsulate an extraordinary lifestyle complemented with refined hotel services and facilities which include an infinity pool, Jacuzzi, squash court, a bistro/café, children's playground, gymnasium, sauna and Wi-Fi. Just steps away from the vibrant Chinatown, a visit to the international hip Hotel Swiss-Inn Kuala Lumpur (SIKL) offers a little blast from the past with its fusion of colonial and modern architecture that evokes a sense of nostalgia. SIKL suggests contrast that transcends the barrier of time by merging the old-world charm of colonial architecture at its lobby with hip design that is also featured in its rooms. Entering the lobby, one is surrounded by full height wooden frames and windows complemented by a canvas centrepiece. While the nostalgic experience is anchored with a central point of traditional fixtures, a different point is exuded in all rooms by an edifying aura of minimalism. With soft welcoming hip colour schemes, the 151 rooms’ furnishings celebrate minimalist design with sleek geometric angles to create functional space. Each room is equipped with complete amenities to ensure great comfort and convenience. Stylish fusion of contemporary and colonial design makes Café Petaling the place to unwind amidst the hustle and bustle of Chinatown. Guests can savour the delightful array of Malaysian hawker food and international cuisine. Guests may also revel in architectural wonder as they encounter the city’s historical heritage and legacy, all within walking distance from the hotel. The hotel is also within easy access to the Putra LRT station, bus terminal, business centers and other tourist attraction spots. Swiss-Garden Hotel Melaka is a modern hotel offering a serene and luxurious retreat in the sky. 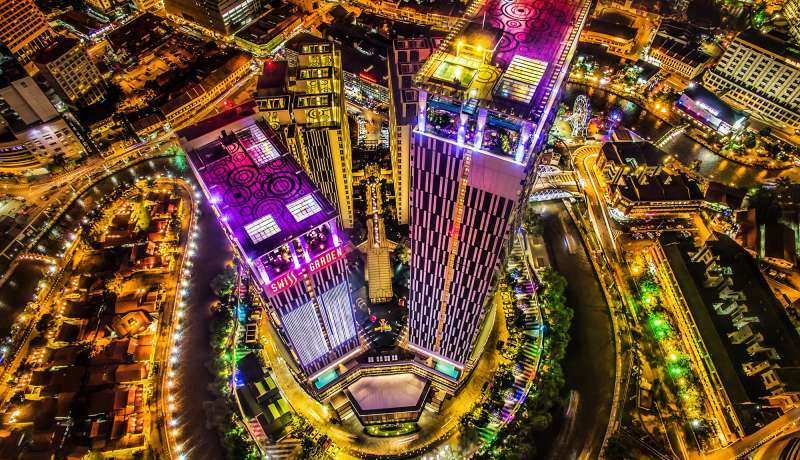 Ideally located overlooking Melaka’s UNESCO World Heritage zone, the opulent hotel, tallest in the state boasts 306 guest rooms which consists of Deluxe, Executive, and Family Suites with exclusive facilities and an adjoining shopping complex allowing guest to enjoy best of both worlds. 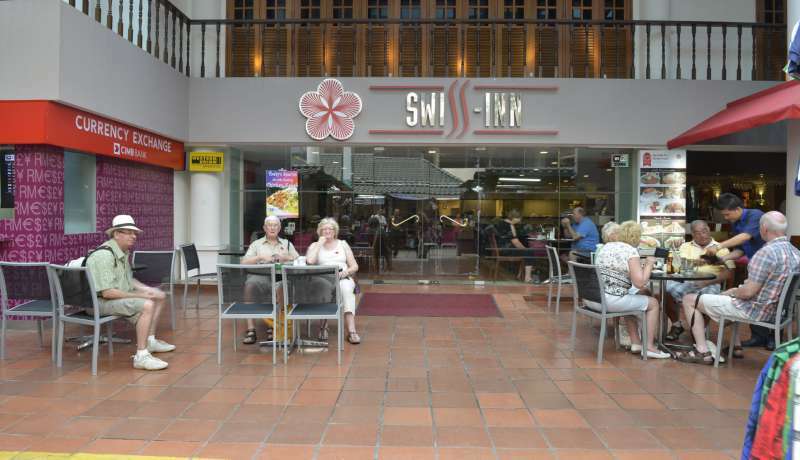 Swiss Garden Hotel Melaka is situated around the historical tourist sites of the state and the famous Jonker Street of Melaka is just a 15 minute walk from the hotel. Guest can also take a captivating stroll along the river bank which flows around the hotel overlooking Kampung Morten, a traditional Malay Village amidst the city. 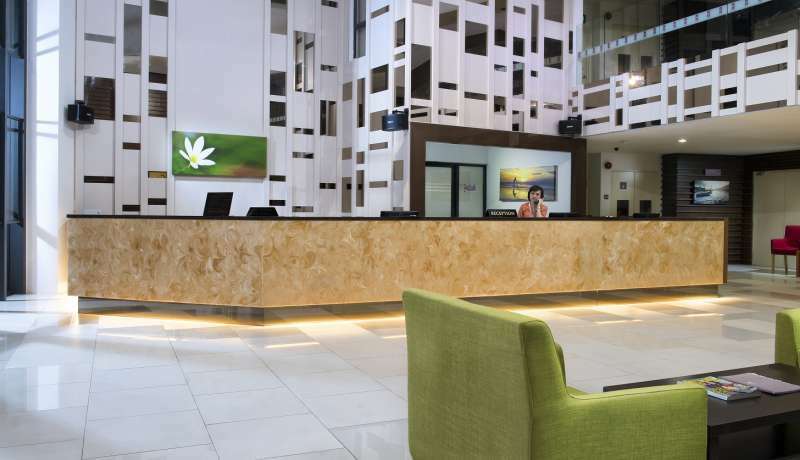 A stylish hotel in the heart of Johor Bahru, the Swiss-Inn Johor Bahru is the ideal venue for leisure and business travellers. It is strategically located 10 minutes away from the Customs Complex, Immigration & Quarantine (CIQ) checkpoint. Each floor of the hotel is defined by its artistic characteristic, in bold accents and vibrant tones. The Cosy Queen and Cosy Twin rooms is the ultimate choice for couples on holiday or business travellers. The Cosy 2 comes with 2 private bedrooms and is well appointed to accommodate a family of 2 adults and 3 children, featuring individual LCD TVs and a living room with a sofa bed. The Tatami 6 is another one of a kind concept designed to accommodate 6 guests with its communal or family style bedding configuration. Its unique features and layout is ideal for a group getaway, college outings or staycation with friends. Swiss-Inn Johor Bahru is designed for innovative meetings and events. Our Little Big Space and Little Small Space meeting rooms are well-appointed for your business need. Catering up to 120 person, we provide an exclusive meeting venue with warm hospitality. For the health-conscious travellers, you can sweat it out at the Gym for your daily dose of workout. 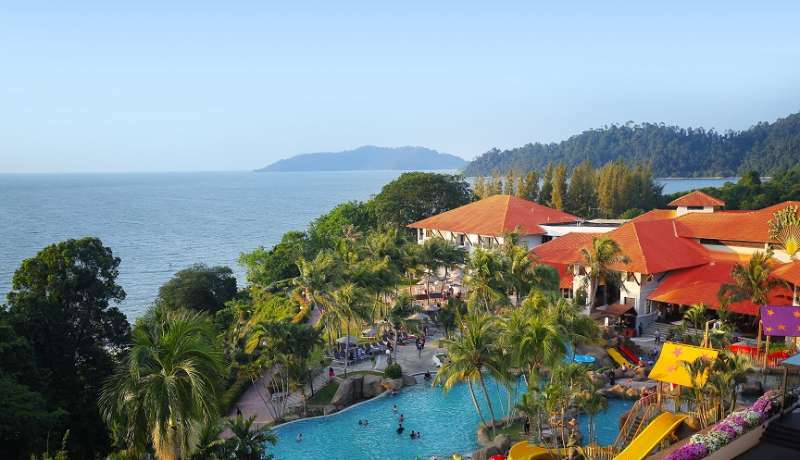 Set amidst lush greenery, Swiss-Garden Beach Resort Damai Laut is located at the northern side of the Straits of Malacca, overlooking Pangkor Island. Lending to a truly spectacular backdrop to the south is the enchanting Dindings River estuary, while the Teluk Kopiah Forest reserve provides lush tropical surrounding. The resort is easily accessible by road via the North-South Expressway. From Kuala Lumpur, it is a scenic 3 hour leisurely drive. If you are traveling by air, there are regular scheduled direct flights from KL International Airport (KLIA) to Penang International Airport; from there it is only approximately a two-hour’s drive to the resort. Alternatively you can take a comfortable coach ride from Kuala Lumpur to Manjung or Lumut. The resort comprises of 290 rooms, elegantly outfitted with modern premier amenities and private balconies, each commanding a spectacular view of the sea or verdant greens. Guests may also choose from a host of recreational and leisure facilities such as the award winning 18 hole championship golf course, The Wet Side Splash Pool, a private beach, recreation centre, Burn & Build Seascape Gym, sauna, Jacuzzi, Young Citizens of the World Club, a Water Sports centre, teambuilding courses and the rejuvenating Samsara Spa. The newly opened Young Citizens of the World Club (YCotW) will keep your kids busy the whole day - from the "Kid's Crash Zone" with a large fun ball play area and a '"Nerf Gun Shooting Gallery", "Arts & Craft Wall of Fame", Kid's Galaxy Cinema", "Apps & Tabs Zone" to the one and only "Wall Bat Ball Court". Open daily from 7.00 am - 11.00 pm. The latest facility, The Wet Side Splash Pool provides guests with a wholesome family oriented environment that includes fun and excitement. The unveiling of the Adult Pool with separate Kids Pool and Water Feature Playground coupled with open loop body slides, water cannons, small and giant tipping buckets and natural jacuzzi pond promises a memorable time for all. Open daily from 7.00 am - 7.00 pm. On selected days, the pool will be opened till 9.00 pm. Enjoy a thrilling ride through the 4.8m high spiral tube slide at the newly constructed outdoor Fun Twister Slides. The rush of adrenaline as you slide down the tube will make every child want to climb right back to the top of the viewing tower for another round of fun. Another exciting feature of the outdoor playground is the "Wave Adventure" with a combination of tube slide, curve slide, hole climber and a bubble panel. As part of our product enhancement programme and to continuously deliver optimum guest satisfaction at the resort, there will be upgrading works to the guest rooms from 1 February 2018. During the room enhancement exercise, noise disturbance will be kept to the minimum level to ensure guests' comfort. 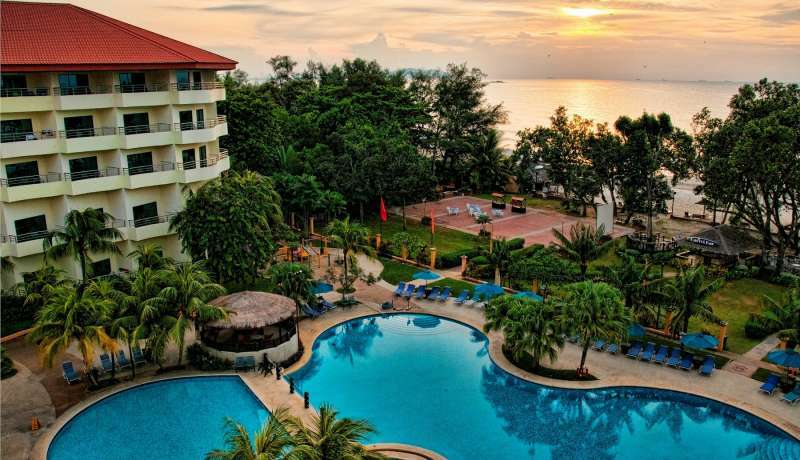 Swiss-Garden Beach Resort Kuantan is is nestled on the pristine Balok beach fronting the azure waters of South China Sea in Peninsular Malaysia. Recently refurbished, the resort offers timeless contemporary elegance with a sophisticated blend of luxury. The resort's 304 rooms and suites are equipped with modern amenities and features traditional motifs, a reflection of the country's cultural heritage. All guestrooms are attached with a private balcony overlooking a panoramic view of the mesmerizing South China Sea or the lush green landscape surrounding the resort. The resort’s accommodation options range from the spacious Deluxe Room or Sea View Room to the larger suites. Your family will appreciate our spacious Family Room that comes with two inter-connecting rooms, designed to accommodate up to four adults. Indulge in our decadent Executive Suite where you can soak in your private Jacuzzi and be pampered with a collection of exclusive amenities and exceptional service. Swiss-Garden Resort Residences Kuantan is idyllically located at the pristine Balok Beach and is within close proximity to Kuantan town, the Gebeng Industrial Park and Kuantan Port. The resort style residences comprises of 178 rooms consisting of 52 units of Studio Suites, 12 Premier Studio Suite, 71 Family Suite and 43 units of Premier Family Suite with an in-house mini Water Theme Park, The Underwater City of Teruntum. 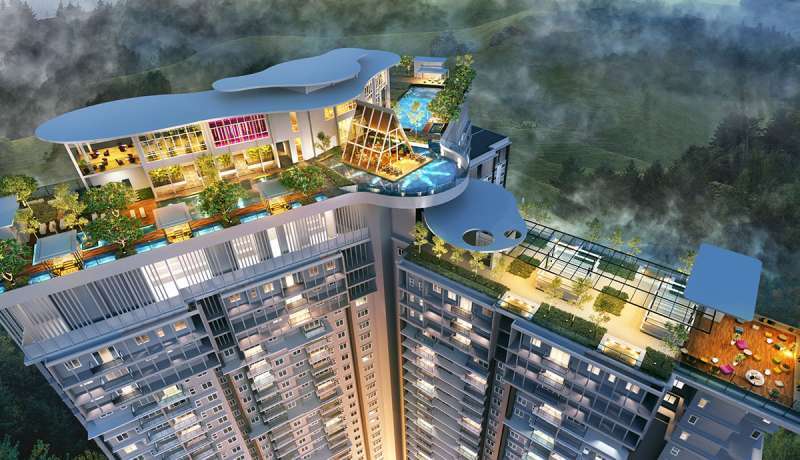 Rising at 10 storeys, the resort apartment has an East Wing and a South Wing. Each unit is elegantly designed to replicate homely comforts amidst a beach front resort setting. Located in the Northern state of Malaysia offers a varied range of hotel and recreational facilities such as a Olympic sized swimming pool and 101 spacious guest rooms complete with a host of modern amenities and warm service, the Swiss-Inn Sungai Petani is the ideal venue for your business and leisure needs, or simply your ultimate home away from home.